I have to say, we’ve known Amelia and her mom for quite some time. She is actually one of our first clients and started coming to Bella and Max about six years ago when we were in our original location, up on the boardwalk. Amelia is such a nice girl and we have really enjoyed watching her grow up. It doesn’t surprise me at all that she grew her hair out and then wanted to donate it. 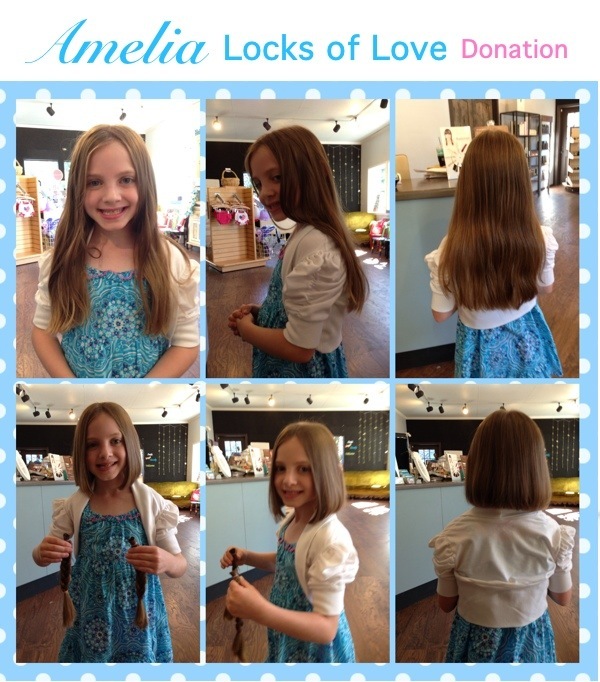 Thank you Amelia for having such a kind heart and donating your beautiful hair. Every once in awhile we come across a client that’s just so cute you can’t help but smile and get a good dose of feel good for the day. I mean, all of our clients are cute and special in the kids room, but what I mean is there’s usually one that says something out of the blue and you’re smiling because they said something that gives you a little jolt and you’re like… did they really just say that? 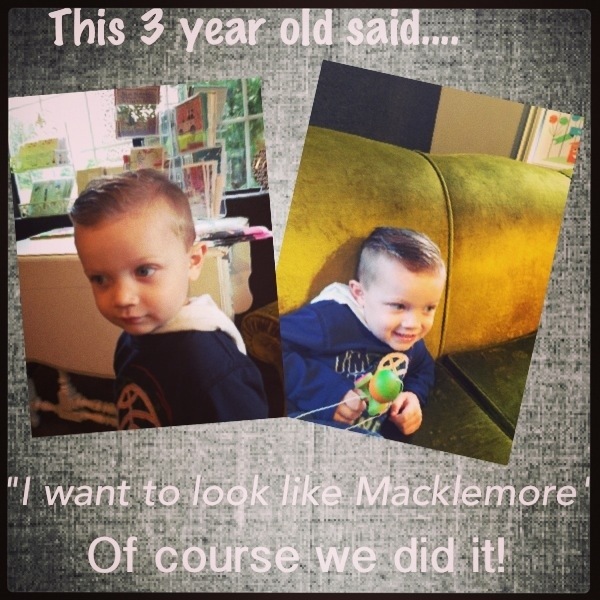 So this little three year old guy had one request. So that’s what we did! He was so happy. And we love happy clients.